The Sheikha Manal Little Artists Program is held under the patronage of Her Highness Sheikha Manal bint Mohammed bin Rashid Al Maktoum, President of UAE Gender Balance Council, President of Dubai Women Establishment, and wife of His Highness Sheikh Mansour bin Zayed Al Nahyan, Deputy Prime Minister and Minister of Presidential Affairs UAE. The Cultural Office of Her Highness Sheikha Manal bint Mohammed bin Rashid Al Maktoum was established in early 2013 to serve as the official platform to develop and activate substantial art movements as milestones within the region. Many existing art related projects have now been directly placed under the cultural office and a lot more of future planned programs will help raise the profile of the pool of talents existing in the region. The Cultural Office combines the best art practices and concepts from around the world and tailors it to respect and preserve our legacy and culture in the Arab world for International recognition. 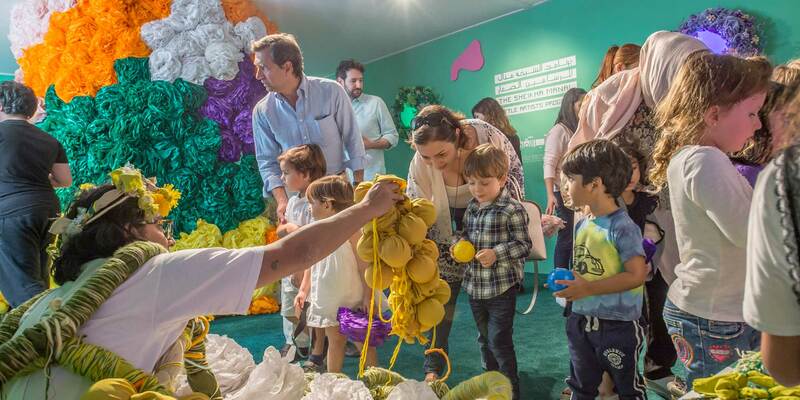 Art Dubai’s non-commercial programme includes workshops, publications and discovery tours for children and teenagers, created especially for the fair by international and UAE-based artists. Each March, we partner with The Cultural Office to produce the Sheikha Manal Little Artists Program, designed to provide access to skills and ideas for UAE-based children and teenagers aged 5-17 with the long-term aim of encouraging young people to get involved and excel in the arts. The Healing Garden by Hiromi Tango. The Sheikha Manal Little Artists Programme. Art Dubai 2018. Courtesy of Art Dubai and Photo Solutions. The artist’s project for 2018’s edition was titled Healing Garden and featured an interactive installation that invited over 300 children to participate in creating a nurturing environment based on local plants and flowers. With the iconic date palm as the focal point of the garden, Healing Garden explored the many ways that local plants and flowers can contribute to well-being. The workshops and immersive installation provided hands-on opportunities for children to create and explore the space that was energized through the interplay of light, colors, textures and shapes. The Discovery Tours also returned in 2018, led by UAE-based and international artists. Specially designed for children between the ages of 5 to 17, the tailor-made tours enable young people to discover key pieces around the fair, with the works being brought alive via thematic activity maps and the storytelling of the guides. 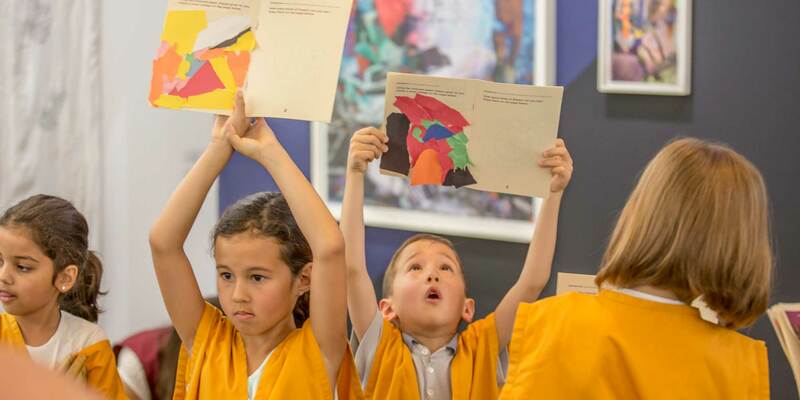 Over 100 children took part in the Discovery Tours in Art Dubai 2018. In 2018, the program commissioned Japanese-Australian artist, Hiromi Tango. Her work spans sculpture, photography, installation and performance. 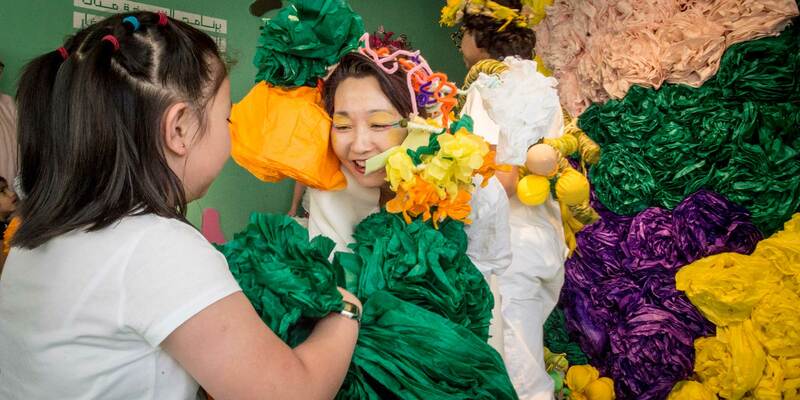 Hiromi is dedicated to generating healing conversations through arts engagement. Addressing issues such as globalisation and virtualisation of communication, her practice is often collaborative, performative and site-specific. Although Tango’s works are highly personal and autobiographical, they can also be read as universal tropes of collective experience.